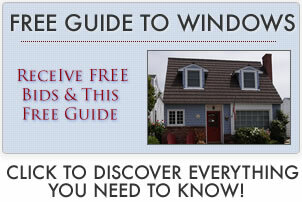 Find fiberglass windows reviews from contractors, past customers, industry experts and homeowners. We have tried to provide fiberglass window reviews for many of the top brands and window lines, including Pella window lines, Marvin Integrity and Infinity, Inline and others. Read more on Pella Impervia Reviews. Read more on Marvin Integrity windows reviews. More on fiberglass windows prices. I was completely satisfied with our Infinity windows. They are (nearly) as beautiful as our outdated 1930s style wood double hungs. They look great and the workmanship is great – they are top of the line fiberglass windows. I love the idea that they look almost as good as wood, with the great strength of fiberglass, high energy efficiency and they are almost maintenance free. I went with the divided light grids for the interior and exterior and was very impressed with the price. The installation went very smoothly (Marvin did the install for us) and there wasn’t any damage or scratches to the interior woodwork (which was my big concern on the replacements). Read more on Marvin Infinity Windows Reviews. After a good amount of research, we decided on the Serious 925 Series windows. As soon as the windows were installed we noticed a reduction in visible transmittance. On the plus side there is less glare. There were some small issues with the frame’s miter joints and have had a bit of mildew on the interior. We live on the East Coast and the winter has been brutal. The price was roughly $4K over the Integrity All Ultrex — although the Serious option was customized a bit more (solar orientation). The dealer in our area doesn’t seem on it and we assume he is new to dealing with this window brand. We have had several delays and multiple deliveries on the one order, so that has been frustrating. Hopefully, by the time we move back into our house, all of the little issues will be ironed out and we can enjoy these beautiful fir interior windows. I have installed both the Milgard Ultra and the Marvin Infinity – I would say this; the casements are probably equal in quality but I’d go with the Infinity in the double hung. I think it’s a better window. Milgard pulled the Ultra DH (twice actually) in order to fix design flaws and was off the market for 3 years. There were issues with the compression jambs (water and air could pass through), paint finish, poor screens, etc. Milgard does offer a better warranty, but unfortunately their customers tend to need it more often. Another problem on the Milgard is the quality of installers. Certainly not all, I just don’t feel that they have as high of standards when it comes to their distributors as does Marvin. I put a good amount of emphasis on installation (maybe I’m biased since this is my profession but I don’t think it’s a stretch…) so this is where lots of focus should be placed when considering any product.